All NORTHRIDGE PARK AH homes currently listed for sale in San Antonio as of 04/20/2019 are shown below. You can change the search criteria at any time by pressing the 'Change Search' button below. 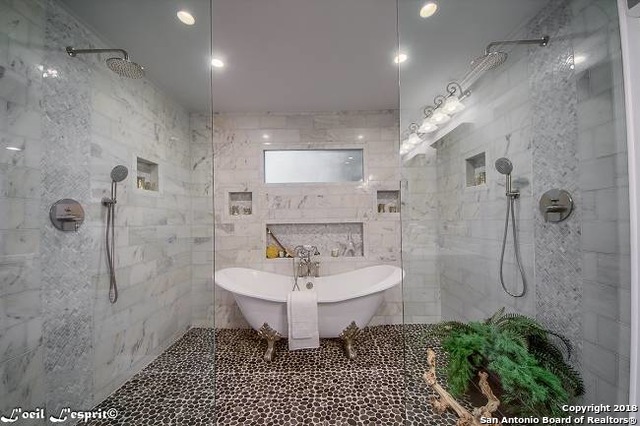 "Captivating remodel w/hand-crafted barn doors, LED lighting throughout, split floor plan w/large mstr ste, Calif. closet, European styled Mstr BA w/dbl showers & cast iron claw footed tub, custom cabinets, marble counters &more. Lrg BDRMS, a guest suite w/private bath. New kitchen w/marble counters, custom cabinets, pot filler, All new stainless appls, All new fixtures, plumbing & lighting. Relax on the back cover patio. AHISD. Centrally located to dinning & more."